trying on their party gear. Glad you only did it digitally!Do I know what breed they are? Can't remember. Bichon frise? 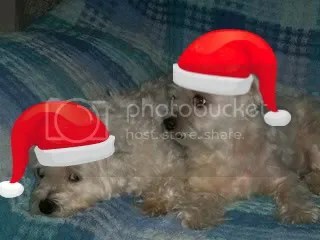 Bailey is Maltese and West Highland terrier and Kahlua is Maltese terrier.